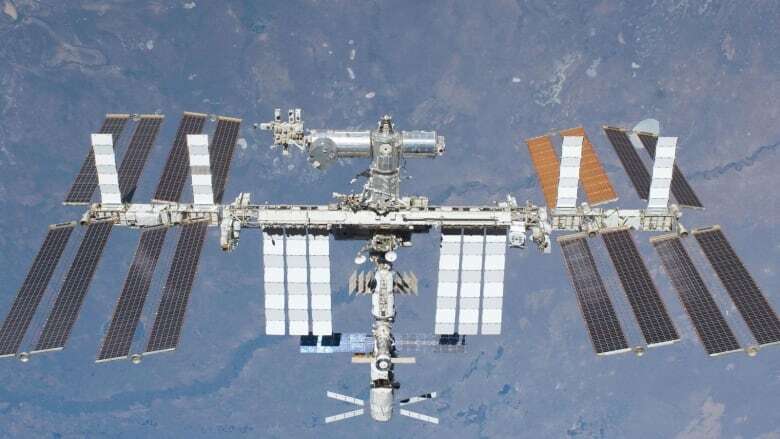 A space station delivery mission was called off Monday, just hours after the orbiting lab had to sidestep a piece of treacherous junk. Orbital Sciences Corp. got to within the 10-minute mark for the Virginia launch of its unmanned Cygnus capsule. But a sailboat ended up in the restricted danger zone, and controllers halted the evening countdown. The Virginia-based company will try again Tuesday evening. Early Monday afternoon, space station flight controllers steered the complex and its six inhabitants away from satellite wreckage. The debris — part of an old, destroyed Russian satellite — would have passed within two-tenths of a mile of the station if not for the maneuver. Mission Control was informed of the space junk over the weekend. It is wreckage from a Kosmos satellite that was launched in 1993 and collided with an Iridium spacecraft in 2009. Orbital Sciences Corp.'s unmanned Cygnus capsule — on the pad at Wallops Island, Virginia — holds 5,000 pounds (2,268 kilograms) of cargo for NASA, including 32 mini research satellites, a meteor tracker, and a tank of high-pressure nitrogen to replenish a vestibule used by spacewalking astronauts. Traffic is heavy these days 418 kilometers up. Just this past Saturday, a Dragon cargo ship supplied by the California-based SpaceX company — its fifth — departed the space station after a monthlong visit and splashed into the Pacific with a load of precious science samples. On Wednesday, a Russian cargo ship is set to rocket into orbit from Kazakhstan and arrive at the space station the same day. "Given all the traffic that's coming and going ... we might want to send up some of those red and green wands they use on the deck of an aircraft carrier," said Orbital Sciences' executive vice president Frank Culbertson, a former astronaut who lived on the space station more than a decade ago. This is the fourth space station delivery for the Virginia-based Orbital Sciences. Each one honors a deceased person linked to the company or commercial spaceflight; this one pays tribute to Mercury astronaut Deke Slayton, who led a rocket company until his death in 1993. As a retro-style homage, Orbital Sciences flight controllers wore short-sleeved white shirts and skinny black ties. Orbital Sciences tucked in some treats for a post-Halloween celebration by the two Americans, three Russians and one German on board. Culbertson did not want to divulge the type of goodies and spoil the surprise. "They might be watching" he said, smiling, at Sunday's prelaunch news conference. NASA is paying Orbital Sciences and SpaceX to make regular space station deliveries.